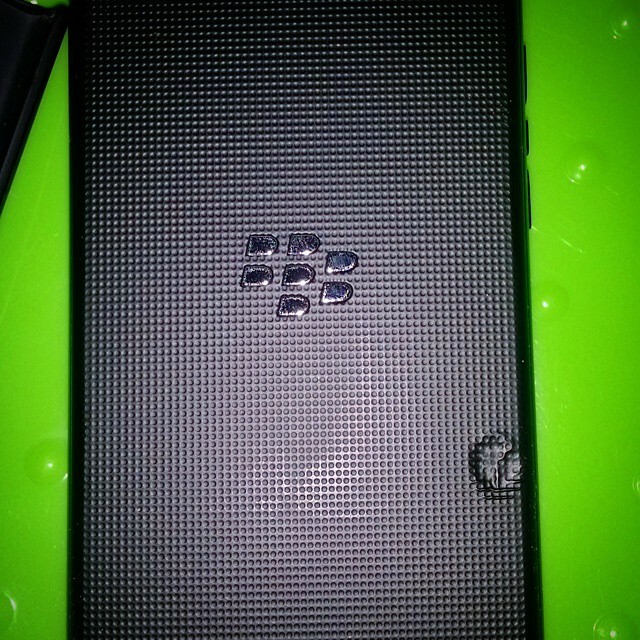 Rip #BlackBerry #Z3 #bb10 phone suddenly was extremely hot this morning. Quickly switched it off before church start. After church tried to switch it on but battery went flat. Came home start to charge it less than 5 mins, the phone became hot again quickly disconnect the phone and open up my back casing to find this. Phone totally flat and can’t even charge. Sigh. Well that was my first post when my Blackberry Z3 died on me on instagram. 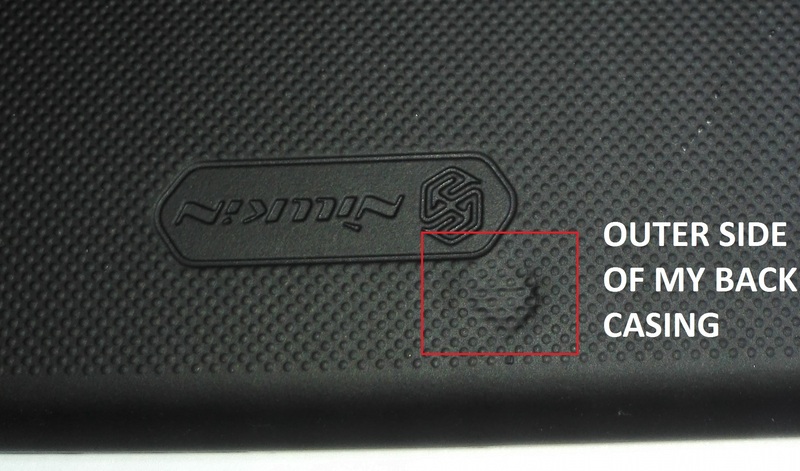 Despite writing it a good review on it, I’m feeling a bit bummed out due to the fact that now I am currently being asked to pay RM545 (think they are charging me RM45 for shipping fees) for the repair charges despite the fact that I only use the phone for 3 and half months. The reason? Below is a screen shot of the email and my work report regarding the phone. I’ve purposely erased the names on it because I know that it’s not their fault, and that they are only doing their job. 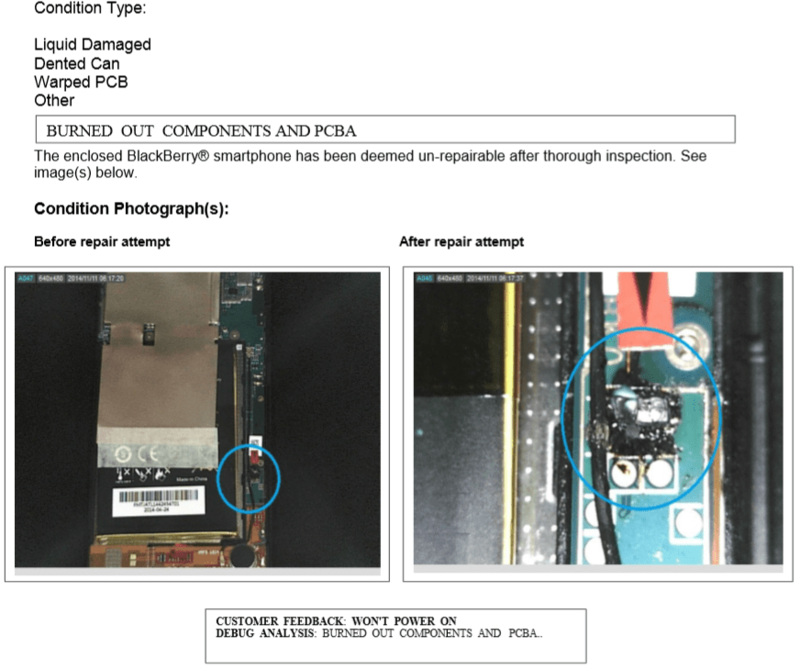 Forwarded email I got from the place I sent my phone for warranty. The work report regarding my phone. 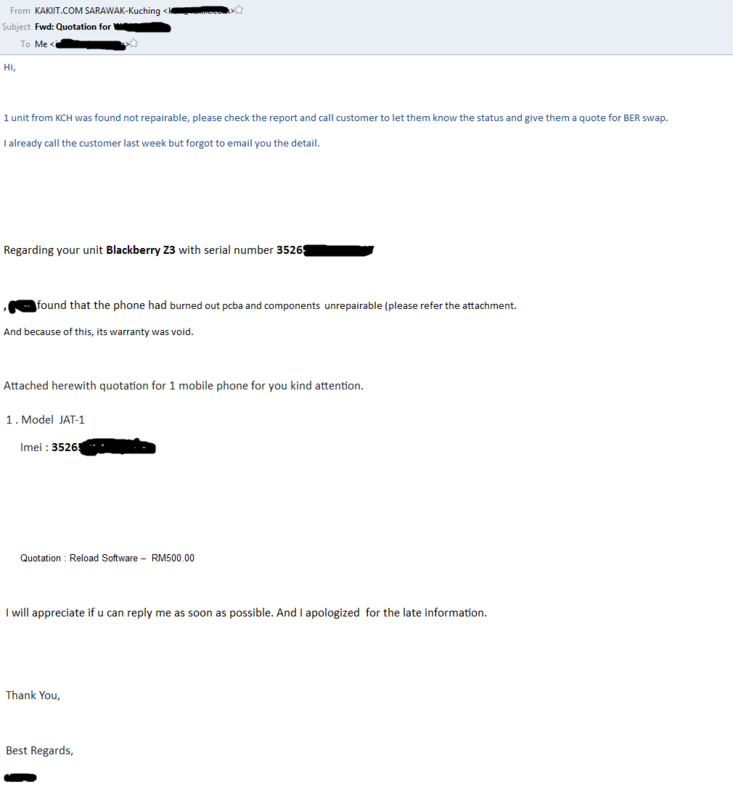 So far I’ve contacted blackberryhelp via twitter to see what they say, and just sent in the work report to them. Hopefully I will not need to fork out anything else I will just leave it as it is. To pay RM545 just to fix a phone which is still under warranty which seems unfair on my side because it’s totally not my fault that I sort of faulty unit just waiting to explode any time. Never the less, I was fortunate enough to quickly switch off the Z3, else I will not know what will happen if I continue to leave it turned on. 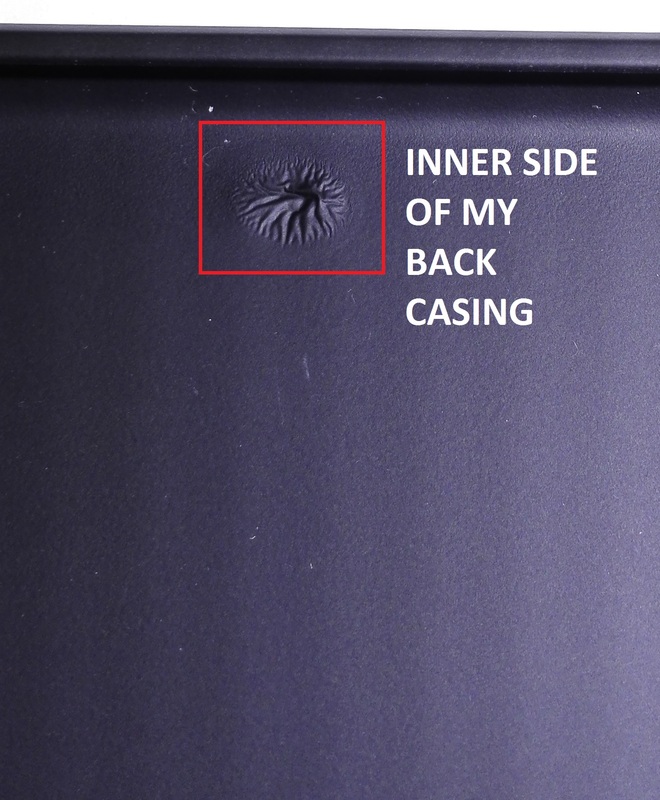 Attach are the photos of my back casing that I used, and I just realized it melted the case almost halfway through. Well, I need to give them a response within 48 hours and I’ll see what BlackberryHelp have to say.